AC Milan agree Mattia Destro deal Daily Star reports claim that Italian side AC Milan have agreed to sign Roma striker Mattia Destro. 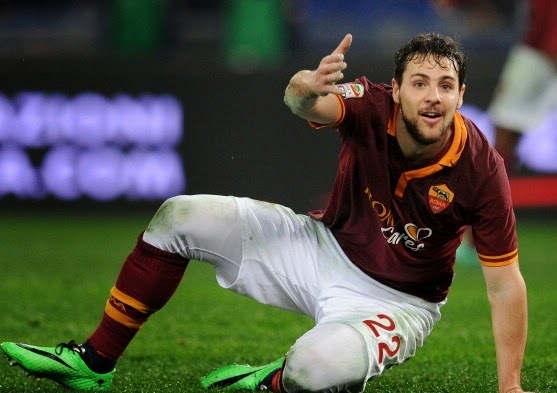 Daily Star reports claim that Italian side AC Milan have agreed to sign Roma striker Mattia Destro. The Roma star player was strongly linked with English duo Arsenal and Chelsea this month but they are now likely to lose the race with reports revealing the strong links between the Italian sides AC Milan and AS Roma. Sky Italia also reported that both the Serie A outfits have reached an initial £700,000 agreement for Mattia Destro who will spend the remainder of the season on loan and the deal will become permanent in the summer for a fee around £17million. The 23-year-old’s move will give a shocking news to the Premier League sides as he preferred to join a struggling side rather than a Champions League club. These London outfits were planning to sign him directly on the permeant basis this month for a fee around £15million. Meanwhile, IBTimes’ report earlier today that Tottenham Hotspur are still eyeing the highly-rated Italian attacker. Destro who has capped eight times for Italy has made more than 50 Serie A appearances for Roma since his move from Siena in 2012.